Today, we’re going to show you how to find the best pre workout for you, by giving you a detailed breakdown of what exactly makes a pre workout great. It’s not even the shiny packaging it’s sold in. The best pre workouts contain the best ingredients -- those that have been documented in humans to actually enhance athletic performance. 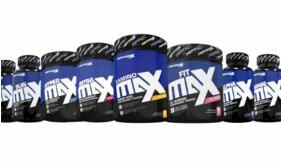 This series will give a detailed look at the ingredients inside of pre workouts, so that when you’re shopping for your next tub of pre workout. You know what to look for and never again have to rely on the opinion of the store clerk or the bogus, paid-for-reviews on websites. We begin our analysis of the best pre workout ingredients with the supplement that provides the backbone to all great pre workouts -- caffeine. Caffeine, a.k.a. 1,3,7-trimethylxanthine is an organic, alkaline compound naturally occurring in tea, coffee, chocolate, and a number of other foods. Caffeine is most well known for being an adenosine receptor antagonist, meaning it “blocks” the neurotransmitter adenosine from binding to its receptor. In doing so, caffeine helps increase energy and alertness while alleviating fatigue and lethargy. Caffeine also increases dopamine levels in the body and dopamine receptor availability, enhancing mood, motivation, and focus. (Note, that the dopamine-boosting effects of caffeine do tend to dwindle with continued use. Additionally, caffeine delays the breakdown of cyclic adenosine monophosphate (cAMP) and cyclic guanosine monophosphate (cGMP) by inhibiting the phosphodiesterase (PDE) acetylcholinesterase enzymes, meaning caffeine is a natural PDE inhibitor. What are the Benefits of Caffeine for Exercise Performance? What products do we recommend that have caffeine to boost your workout?